Very adaptable fern. Prefers a fertile soil in shade/partial shade. 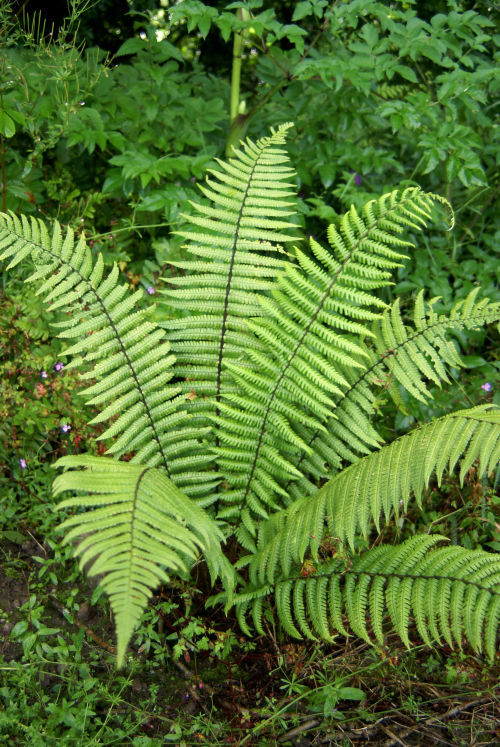 Good, very ornamental evergreen fern, especially in spectacular when the new fronds emerge. Always a talking point from visitors to our garden!